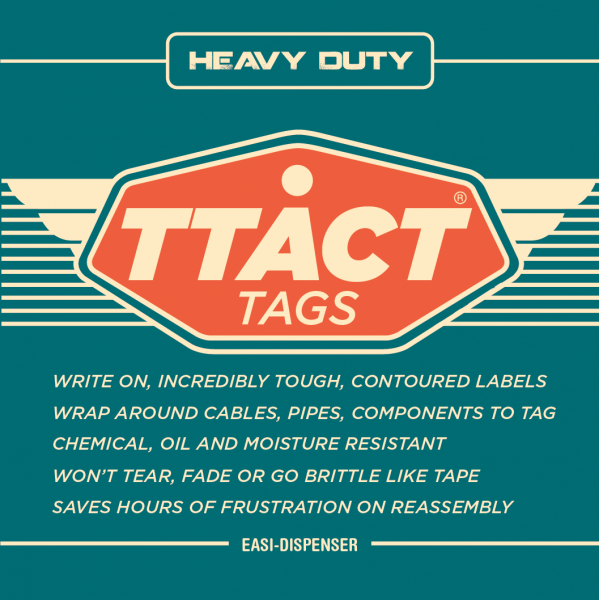 TTACT (Tag Today, Avoid Cursing Tomorrow) Tags are another product exclusive to C&B. 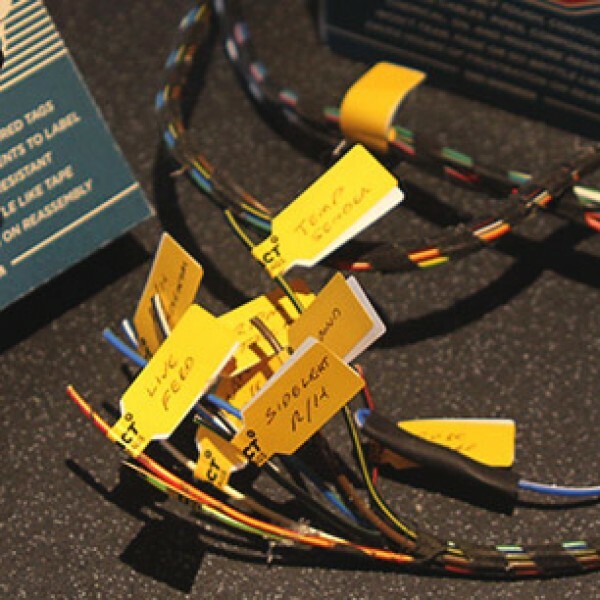 They allow you to label the wiring loom, cables and brake pipes of your vehicle on disassembly so that it connects back together at the end of the rebuild quickly and without expensive errors. DON'T use masking tape, it goes dry and brittle and falls off or gets torn off when the loom is fed through apertures. 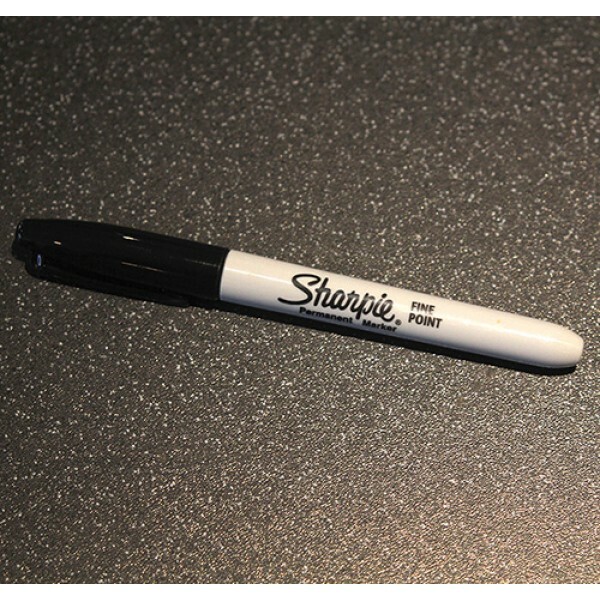 Pen ink also fades off Masking tape, leaving you scratching your head on rebuild months or even years later. 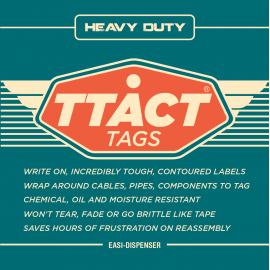 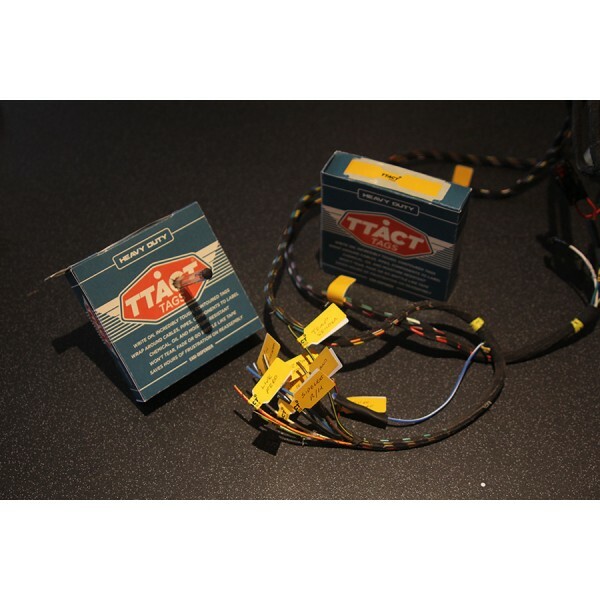 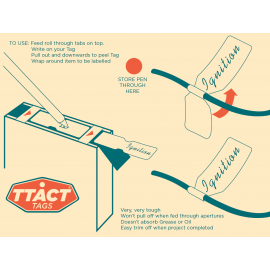 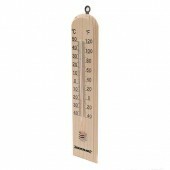 TTACT tags are made from a high strength material that won't tear when the labelled item is fed through bulkheads and the special surface coating accepts ballpoint pen and marker without causing them to fade (try to keep out of bright sunlight though as some pens are better than others). 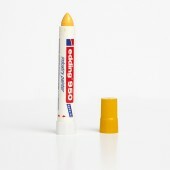 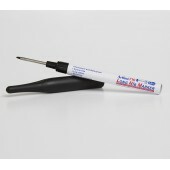 You can even store your quality marker through the pack! 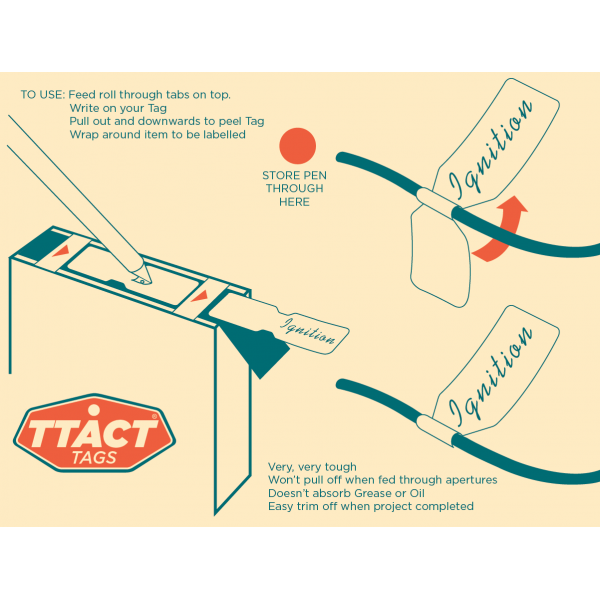 60 tags - usually more than enough for one car, come in a handy dispenser that allows you to write the Tag and remove it from its backing, even with grubby pinkies!